The quality of care at the only Washington, D.C., hospital east of the Anacostia River is being called into question again after a patient died at United Medical Center, and audio of his final moments were recorded as he pleaded for help. A 47-year-old man in the nursing home section of the hospital was found by a nurse and complaining of breathing troubles. 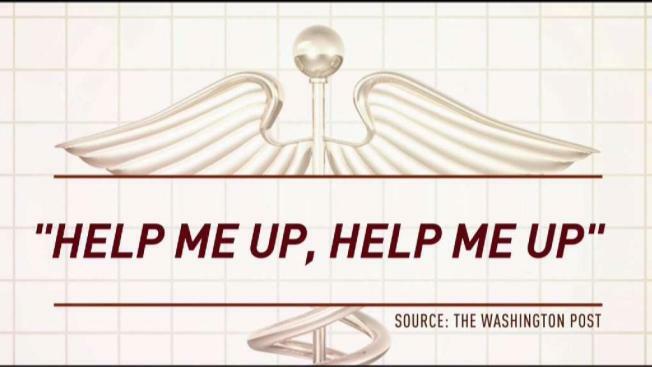 In an audio tape recording obtained by the Washington Post, the patient can be heard pleading for help in the moments before he died as the nurse argued with another patient instead of helping the dying man. This incident comes after a series of recent problems. In August, the D.C. Department of Health suspended the hospital’s license to deliver and care for babies. In September, The Washington Post reported consultants -- a private company called Veritas, hired by Mayor Muriel Bowser to manage the hospital -- were charging D.C. taxpayers $7,400 per month for travel in hotel stays at the National Harbor in Maryland. The mayor’s office announced George Washington University Hospital will take over management of the emergency room and in-patient at United Medical Center. The Washington Post reported there was an investigation into how the patient’s death was handled and whether it was reported properly to the Department of Health. D.C. council members had lots of questions for Veritas, which was paid millions by the city to manage United Medical Center. Wayne Turnage, who oversees the contract with Veritas for the District, said the consultants are doing a good job but acknowledged the death of the patient who was asking for help is unacceptable. The representative for Veritas said they hope to have a plan for reopening the obstetrics department by November. The plan is for George Washington University Hospital to take over the emergency room and in-patient care by the first of the year.